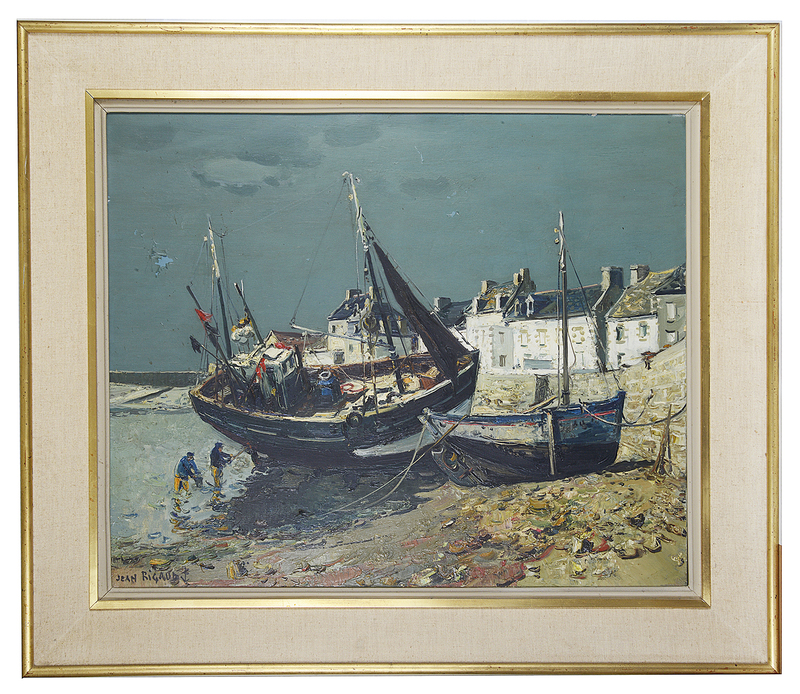 'Ile De Sein', oil on canvas, signed lower left and verso, dated '61, framed. total frame: 79 x 92cm; canvas: 60 x 73cm approximately. Lot 42 Irish School, style of J.P Rooney, 20th century "Autumn Comes Donegal"